If someone who’s being careless accidentally injures you, and you sustain a traumatic brain injury (TBI), who pays for those medical expenses? Can a brain injury lawyer help you get compensation? If you accidentally sustain a traumatic brain injury in this state, you may have some options for reimbursement in the future (and those options will be discussed below), but you will still be personally obligated to ensure that your medical bills are paid as they fall due. Even when another person is undeniably responsible for a brain injury that you’ve suffered, Illinois law does not require that person to pay your medical costs as you incur them. HOW IS A TRAUMATIC BRAIN INJURY DEFINED? Any forceful impact to the head that impairs the functioning of the brain is a traumatic brain injury. Traumatic brain injuries are classified as mild, moderate, or severe. Although most traumatic brain injuries are mild, and most victims eventually improve, the effects of a severe TBI can linger for a lifetime. WHAT ARE THE STATISTICS REGARDING BRAIN INJURIES? Every year, more than a million people in the U.S. sustain a traumatic brain injury. While most TBI victims are released from an ER after treatment, about 250,000 are hospitalized each year, about 125,000 are permanently disabled, and about 50,000 traumatic brain injuries each year in the U.S. are fatal. The Centers for Disease Control and Prevention (CDC) reports that more than 3.2 million TBI victims in this nation are permanently disabled. The costs to an individual TBI patient can be shattering. The typical hospital stay for patients with a moderate traumatic brain injury is about nine days. Some patients will need additional time in a rehab center, which can cost as much as $1,000 a day. In fact, the Brain Association of Missouri tells us that the costs incurred by the typical TBI patient in the first year after the injury average about $150,000. WHAT IS REQUIRED UNDER ILLINOIS LAW? 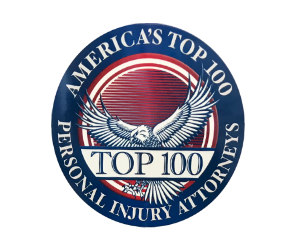 A good personal injury lawyer can usually help a TBI victim reach a settlement out-of-court with the person who caused the brain injury, but Illinois only requires that person to pay damages if the TBI victim prevails with a personal injury lawsuit. When a TBI victim’s personal injury lawsuit succeeds, the victim is compensated for medical expenses, lost wages, and more. But claims, negotiations, and lawsuits move slowly and take months, while healthcare providers expect payment promptly. If you are a TBI victim – or if it’s someone you love – here are some possible options for paying the medical bills while an injury lawsuit is pending. WHAT WILL HEALTH INSURANCE OR HOMEOWNERS INSURANCE PAY? Health insurance policies vary. If you sustain a traumatic brain injury, your health insurance provider will probably pay a part of those expenses, but you are still responsible for the deductible and/or co-payments. If your traumatic brain injury happened because of a fall or some other accident at your home, your homeowner’s policy might provide some coverage. Homeowners’ policies can also help if another person is injured at your home or if you are injured at another person’s home. If you sustain a traumatic brain injury in an automobile accident, you must not accept a quick, inadequate settlement. WHY SHOULD YOU REJECT A QUICK SETTLEMENT? Automobile insurance companies know that medical bills are pending and that injury victims would like to resolve everything quickly. Some auto insurance companies will take advantage of that, but if you settle your claim too fast, you may regret it. Settling your injury claim also means waiving any right to further legal action or additional compensation. Do not settle – especially if you have sustained a traumatic brain injury – before you have consulted an experienced Chicago personal injury attorney. A personal injury claim for a traumatic brain injury will almost certainly be worth far more than an auto insurance company’s initial settlement offer. WHAT IS MEDPAY? WHAT IS PIP? When money is needed for medical bills after a vehicle accident but before a settlement is reached, those with Medical Payment Insurance (MedPay) or Personal Injury Protection (PIP) will have an advantage. MedPay and PIP auto insurance coverage can pay a number of medical expenses after a serious accident. PIP is comparable to MedPay. It covers medical costs after a traffic crash without regard to who caused the accident. But unlike MedPay, PIP will cover lost wages and childcare costs while you are injured. Illinois doesn’t compel motorists to carry either MedPay or PIP coverage, but they are wise choices, and if you are dealing with a catastrophic injury like a traumatic brain injury, you’ll be glad that you have that coverage. WHAT IF YOU SUSTAIN A TRAUMATIC BRAIN INJURY WHILE WORKING? If you’re injured at work in Illinois, you probably qualify for workers’ compensation. It will cover many of your medical costs and partially replace lost wages. But if you sustain a catastrophic injury at work – like a traumatic brain injury – or if you are permanently disabled, workers’ comp simply isn’t going to be enough for your family and your long-term rehabilitation needs. The workers’ comp system protects employers from personal injury lawsuits, and in return, injured workers receive benefits without having to take legal action. WHEN CAN YOU FILE A LAWSUIT ARISING FROM A WORK-RELATED INJURY? But if you sustain a work-related injury that is caused by anyone other than a co-worker or employer, consult at once with an injury attorney about a “third-party” personal injury lawsuit. If someone else’s negligence is the reason that you are a traumatic brain injury patient, the right injury lawyer will fight aggressively and tirelessly for every dollar of compensation that you are entitled to. Your rights will be fully protected. If you’ve been injured by another person’s negligence, the law is on your side, but the law takes time. Talk to your doctor. As the legal process moves forward, if your medical bills are mounting up, some healthcare providers may even allow you to pay after you obtain your settlement or verdict. If you sustain any blow to the head, have a medical examination immediately. If you sustained a brain injury because someone else was negligent, seeking legal help is your next priority. If you take legal action with a personal injury lawyer’s help, you’ll pay no attorney’s fee until you obtain the settlement or verdict that is rightfully yours. If you’ve sustained a traumatic brain injury, you must get the medical and legal help that you need. Your future will depend on it. Drunk Driving: Who Suffers The Most?